Guardians Of The Galaxy is the No. 1 movie in the box office right now, and with good reason. The sci-fi blockbuster about a ragtag band of misfits defending the galaxy is a tale of heroism that’s action-packed, funny, and poignant at the same time. 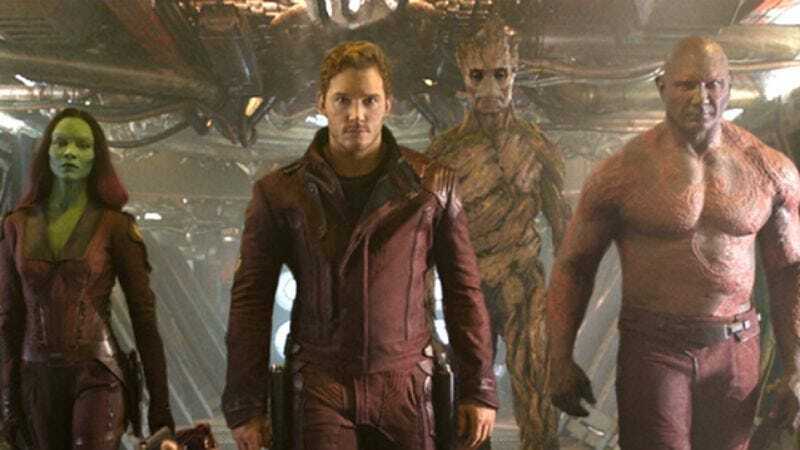 Yet as I was watching it this weekend, I couldn’t help but think about the movie’s close parallels with our own world, and about how we could certainly use some “Guardians” (i.e., American Troops) of the “Galaxy” (i.e., the Middle East) of our very own. I know some have reservations about this. Isn’t the situation in the Middle East complicated enough without introducing the “Peter Quill” of American soldiers into the “Galaxy” of the Middle East? I understand this trepidation, but these people have to remember that in Guardians Of The Galaxy, Peter Quill teams up with the other Guardians to thwart Ronan, the evil Kree zealot. In much the same way, Peter Quill (The United States Army), must team up with his friends “Groot” (i.e., military might), “Rocket” (i.e., President Barack Obama’s ability as commander In chief to exercise this might), “Gamora” (i.e., caution), and Drax the Destroyer. With these friends, the United States Army will defeat “Ronan” (i.e., violence in the Middle East), who is fighting on behalf of the “Kree” (in this case, we’ll say this is also violence in the Middle East, but in the larger, historical sense, which encompasses not just this particular outbreak of destruction, but the destruction that has consumed the region for nearly a century). It’s just that simple! Isn’t the situation in the Middle East complicated enough without introducing the “Peter Quill” of American soldiers into the “Galaxy” of the Middle East? Now, my next point could be considered a bit of a spoiler, so be warned if you haven’t seen the movie yet, BUT: If you ask me, the United States is the Peter Quill of countries because it’s half “Human” (reluctant to go to intervene in the Middle East) and half “Star-Lord” (concerned about the sectarian violence in that region). While we’ve spent most of the “movie” (i.e., July of this year), thinking we were only “Human” (reluctant to intervene), we need to learn that America is also half “Star-Lord,” and that it is this secret identity which allows the United States military to hold the ”Infinity Stone” (general stability throughout the region) for so long without disintegrating. When our “Mother” (George W. Bush) “died of cancer” (i.e., “left office”), America’s role in the Galaxy became less direct than it had been in years. But now Peter Quill must once again return to Xandar in order to make sure that “Ronan” (the Palestinians and the Israelis) don’t end up getting destroyed by “Ronan” (violence). The time for action is now. America must become the Guardians Of The Galaxy.